Selma has created this gorgeous card and has written a fabulous tutorial showing you how to make the Lilly. She has her own twist on using the new Susan Cockburn dies, so be sure you don't miss it. You can read all about it by clicking here. Be sure to leave her a nice comment as it takes her many hours to do these tutorials for you. I know this is two posts in one day, but I wanted to make sure you got to read this great tutorial today. What a gorgeous card and the lilies are so realistic. The tutorial is so easy to follow. Absolutely gorgeous card....thanks too for the tutorial!!! Beautiful card with the lilies! Your tutorials are always helpful. You have so many good ideas that make something that is nice even better. 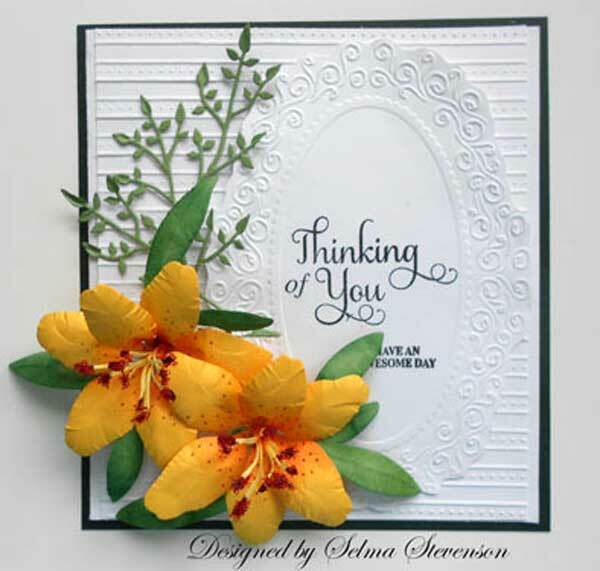 Absolut gorgeous card and an awesome tutorial too from Selma. 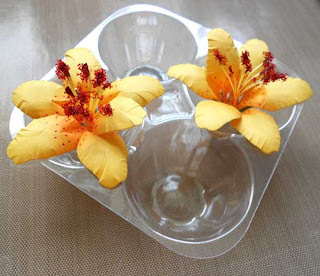 Lillies are one of my favorit flowers so this is right up my alley for sure. I just love, what she´s done here, it´s so beautiful.